Tyler Johnson and Cedric Paquette each scored twice as the visiting Tampa Bay Lightning defeated the Toronto Maple Leafs 6-2 Monday night. Anthony Cirelli and Ondrej Palat also scored for the Lightning. Ryan McDonagh, Yanni Gourde and Jan Rutta each added two assists. The Lighting (53-13-4) became the fourth team in NHL history to reach 110 points through 70 games. They have won two of three games this season from the Maple Leafs (42-22-5). 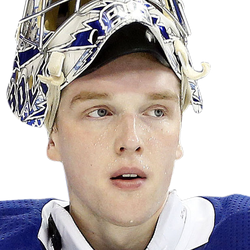 Lightning goaltender Andrei Vasilevskiy made 26 saves. The Lightning scored twice in the first period on tip-ins. Johnson notched his first of the game at 10:07 when he redirected a soft pass from the left circle by McDonagh after a feed from Nikita Kucherov. The play started with a giveaway by Matthews in the Maple Leafs' zone. Cirelli scored his 14th this season from the hash marks, deflecting a point shot by Mikhail Sergachev at 18:38 of the first period. The Lightning scored twice within 30 seconds in the second period. 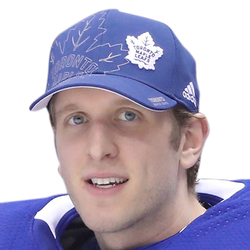 Johnson scored his 24th at 4:20 on a rebound of McDonagh's shot from the left circle that hit Toronto goaltender Frederik Andersen on the mask. Palat scored his eighth this season on a double deflection at 4:50. Braydon Coburn's shot hit Palat then Matthews on its way past Andersen, who was replaced by Garret Sparks. Andersen allowed four goals on 19 shots. Sparks allowed two goals on 23 shots. Matthews scored his 31st goal of the season at 11:49 of the second from the right circle on a rush after beating Victor Hedman near the Toronto blue line. The Lightning answered with a short-handed goal at 18:16 of the second period. The Maple Leafs were caught on a sloppy line change during their power play, leaving Tampa Bay with a three-on-one advantage as it broke into the Toronto zone. Gourde circled behind the net, passed to Hedman, who fed Paquette for the easy goal. Erik Cernak was serving an interference penalty. Paquette scored his second of the game on a tip-in of Gourde's slap shot at 5:59 of the third period. Brown scored at 19:55 of the third.